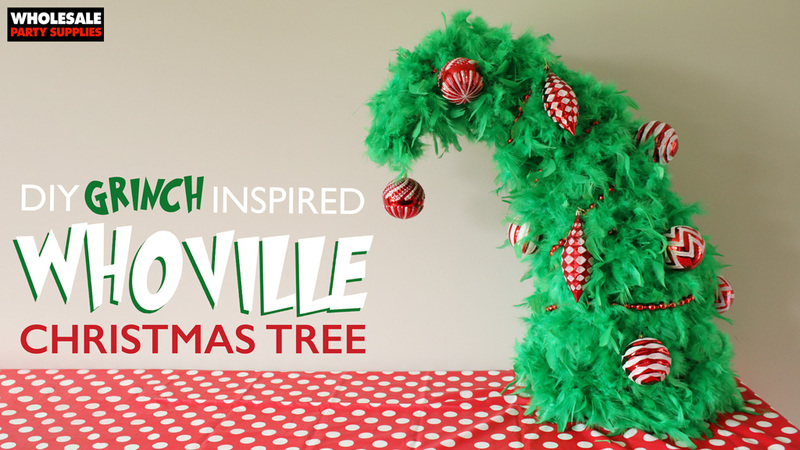 If you’re planning a big WHObilation party or a Grinch movie watching party, make sure to model your decorations after the citizens of Whoville! 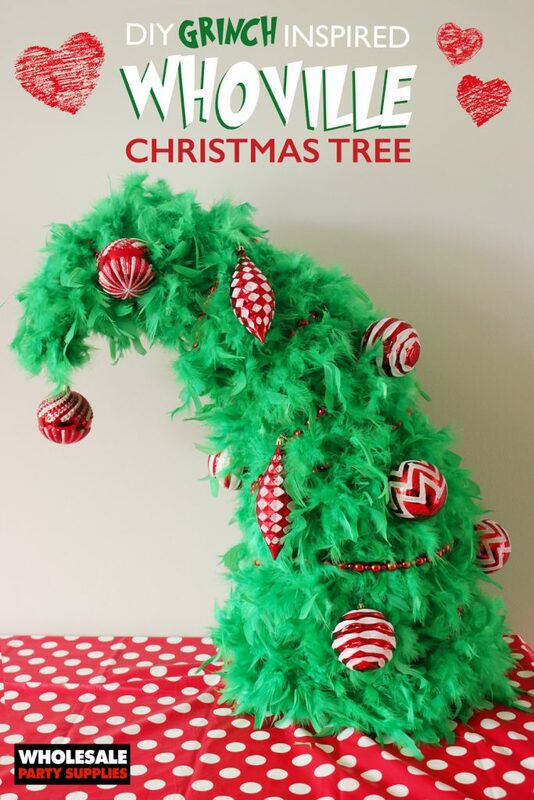 Don’t let that Christmas tree stand tall but rather in the signature Dr. Seuss style that curves over without falling over. 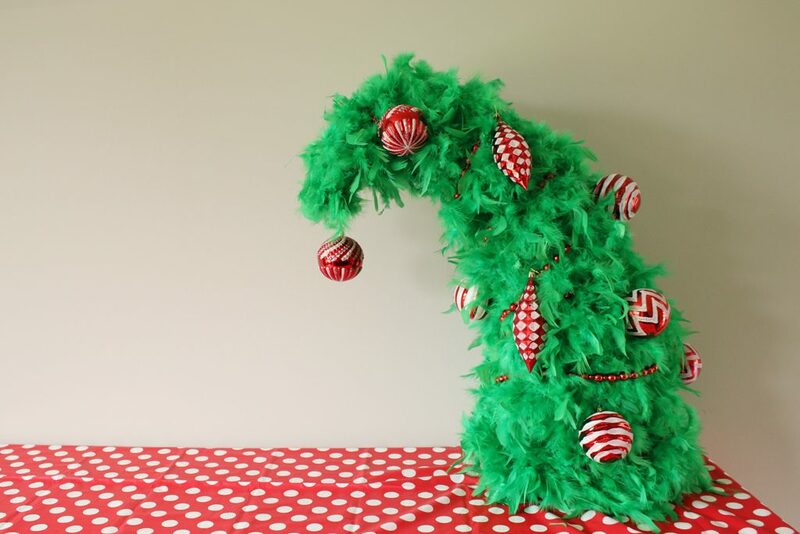 See how to turn some gardening and costume accessories into that signature Christmas tree that would even make the Grinch spark a smile! First, stand the tomato cage over on the circular side as the bottom of the tree. Curve the pronged ends over slightly to begin to form the Whoville tree shape. 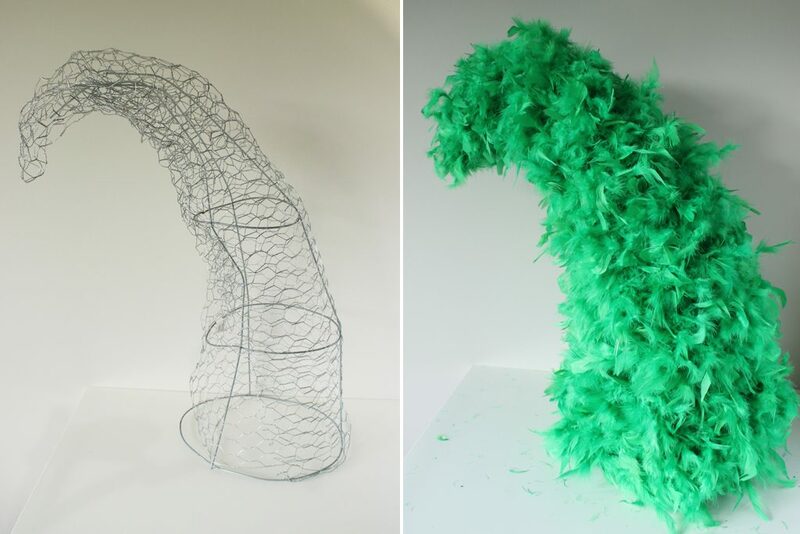 Wrap chicken wire around the form and use wire cutters to cut. 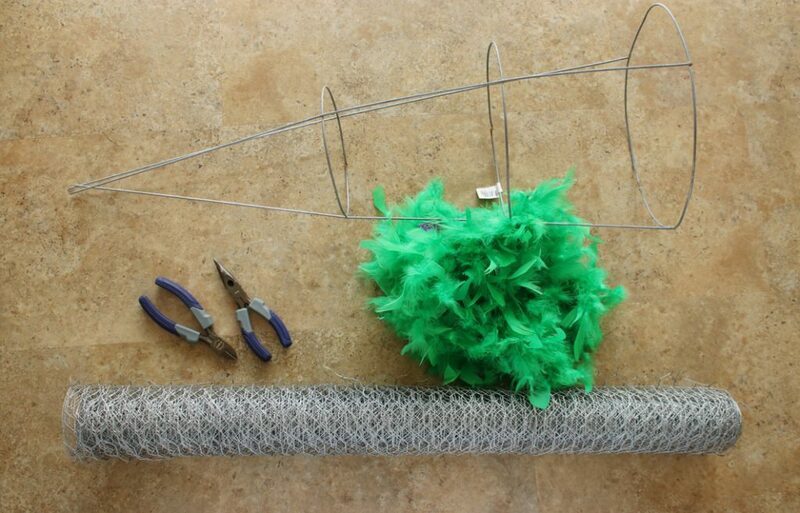 Use gloves to squeeze the chicken wire around the shape to continue to build the form. 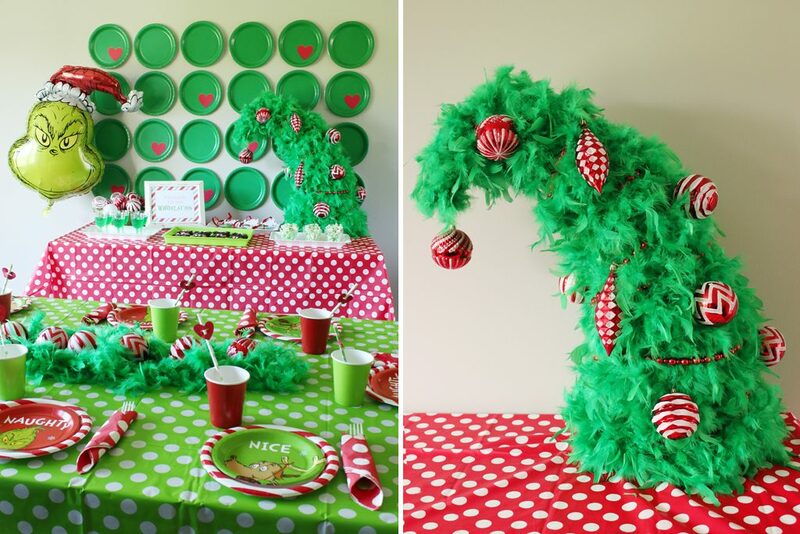 Once satisfied, wrap the shape with green feather boas. Decorate the tree with ornaments to fill in any gaps or dress it up like a Christmas tree. Ornament hooks may need to be added to those with only ribbons to hang. 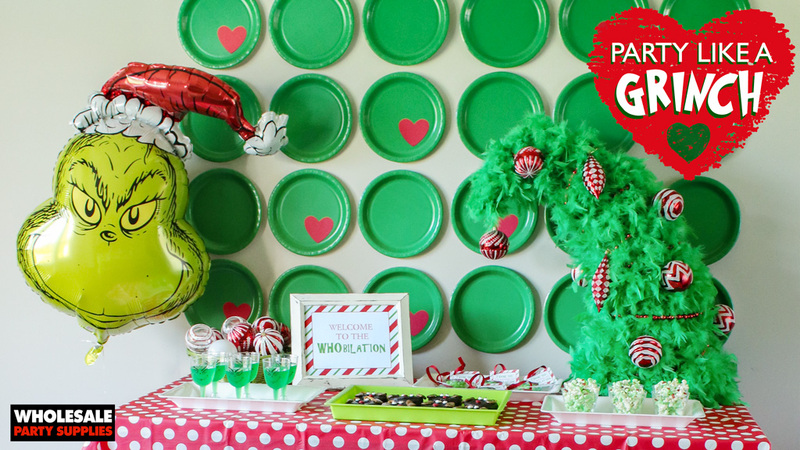 Stage your DIY Whoville Christmas tree center stage at your big Grinch themed WHObilation party.